Regardless of the Tier designation, the Department recommends that all homes should be tested for radon. Radon concentration can vary widely within a tier location, depending upon the geology and amount of uranium in the soil. Homes in low or moderate radon potential areas can have elevated radon concentrations. 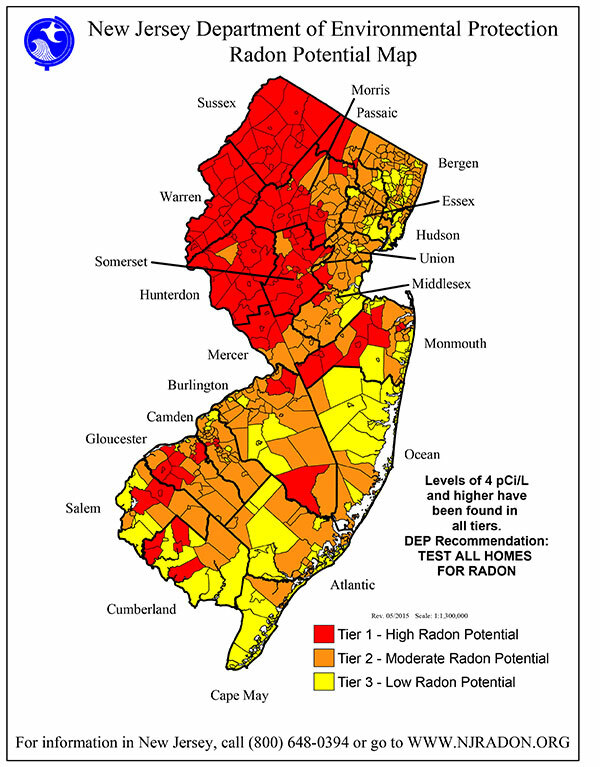 The New Jersey Department of Environmental Protection and the U.S. Environmental Protection Agency both recommend that you take action to mitigate your home if your test results indicate radon levels of 4 pCi/L of radon or higher.